1. LONDON - The folks at Paddle 8 and Auctionata are very excited to announce that the two platforms—one with strength in Europe and the other with a base in the UK and US—are merging. The announcement comes with a raft of slick publicity materials, including portraits of the founders and the management teams all sharing a satisfied moment. There’s also a video (click through the image above to view) extolling the merger with movie-trailer self-confidence. The deal between the two online auctioneers creates a newly formed company that will lay claim to 793,000 registered users in 200 countries and more than $150 million in joint annual sales, making it, according to a news release announcing the deal, one of the top ten auction houses in the world outside of China. two days to acquire seven works worth nearly $100m and, in the process, pretty much saved the Spring New York auction cycle. It is no secret that the art market follows influential collectors in whatever category they are passionate about. It is rare, though, for a buyer to emerge in this way, making seemingly random purchases of what happens to be on offer. It remains to be seen whether a buyer like Maezawa can shore up confidence and provoke more buyers to follow him. 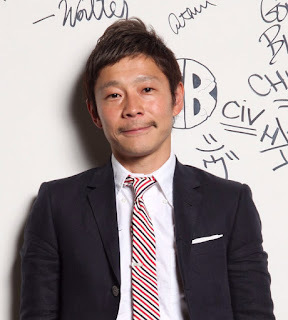 Yusaku Maezawa made his money setting up the Start Today company in 1998 and online fashion retailer Zozotown in 2004. Mr Maezawa is also the founder of the Contemporary Art Foundation in Tokyo, which he says puts on public shows twice a year. Leon Benrimon is spearheading Heritage Auction’s expansion into Modern and Contemporary art and sales in New York. He speaks here about his focus on the middle market of works ranging in value from $10,000 to $1m, why he thinks that market is going to expand dramatically and Heritage’s unique use of the web for bidding and selling. 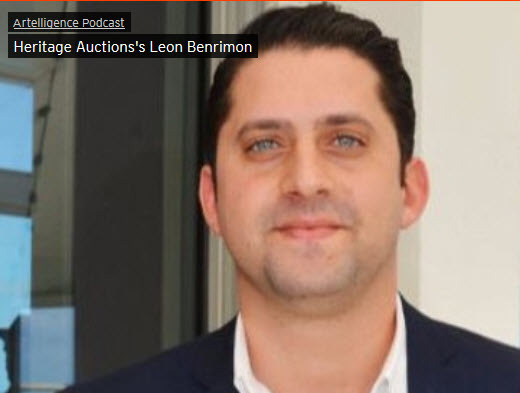 NEW YORK — Leon Benrimon has joined Heritage Auctions as Director of Modern and Contemporary Art for its New York office, continuing the company's expansion into the market. This follows Heritage's April 2015 announcement that it is effectively doubling the size of its Park Avenue space. Rohan, President of Heritage Auctions. "As a company we anticipate great things from him as we continue competing for and auctioning the best available material in New York." Prior to joining Heritage, Benrimon owned Benrimon Contemporary in New York, where he sold blue chip artworks on the secondary market in association with historical exhibitions, while dedicating himself to representing and supporting emerging, established and mid-career Contemporary artists working in a variety of mediums. Leon grew up immersed in the art world, with parents who both own art galleries, and three siblings, all of whom also currently work in the art world. He received his Master's Degree at Christie's Education in New York and worked at family owned galleries on Fifth and Madison Avenues at David Benrimon Fine Art. "I look forward to getting to work with the Heritage team in New York curating auctions and corresponding exhibitions that present collectors with innovative ways to explain the continuum of Modern and Contemporary art," he said. "I want my work to foster growth for the collectors, for institutions, for Heritage and for its staff." His specialty will be working with new collectors and post-war artists — such as Warhol, Lichtenstein, Prince, Basquiat, Longo, Kusama Haring, Murakami and Hirst, among others.